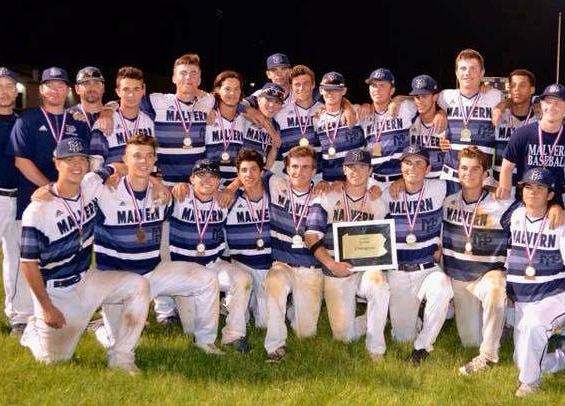 Malvern Prep is the lone Pennsylvania school to secure a spot within the Perfect Game's Preseason High School Top 50 rankings. The Friars sit at No. 40. Fred Hillard's club finished 30-7 last season en route to winning their second consecutive PAISAA championship and an Inter-Ac title. Senior Chris Newell is expected to lead the offense. A First Team All-Inter-Ac honoree a year ago, he hit .422 with an on-base percentage of .592. He also scored 43 runs, swiped 35 bases, and collected 26 RBIs. Senior left-hander Liam Dabagian will likely helm the pitching staff, aiming to replicate his figures from a year ago when he finished 6-1 and posted a 1.15 ERA while striking out 64 batters over 42 2/3 innings. He surrendered just six walks on the season. The Friars open their season with a series of scrimmages in mid-March before embarking on a trip to Florida where the club will play nine games in five days beginning March 24 with a contest against Jefferson City (Jefferson City, MO.). You can view the entire Perfect Game Presason Top 50 here.